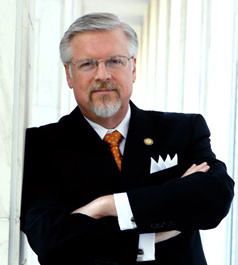 Politics and preaching don't mix? Recently in a blog of comments underneath one of my op-ed pieces a well-meaning person wrote: "Mark, I love you like a brother, but these social issues are just distractions to keep us busy and away from sharing the Gospel." The person who wrote that was genuinely concerned I was neglecting my duty as a minister, while leading other Christians astray from their obligation as well. In other words, politics and preaching don't mix. I would suggest that to argue pastors should avoid any politicking and just stick to preaching is not only unbiblical, but also un-American. American history is replete with examples of clergymen who carried the torch of liberty and helped secure it for our country. 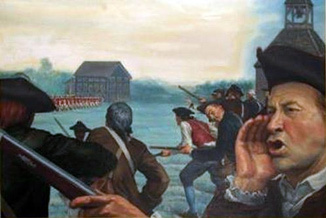 Churches became the primary source that stirred the fires of revolution, advocating the King and Parliament were trampling upon the inalienable rights of the people. They knew well those passages from Scripture like Romans 13 that require submission to civil authority. But they were just as familiar with passages requiring them to resist ungodly authority. In fact, it was out of the churches that watchwords like "No King but King Jesus" and "Resistance to Tyrants is Obedience to God" were born. If space permitted, I could write at length about Parliament's derogatory references to Colonial preachers called the "Black Regiment" – these ministers who donned black clerical robes each Sunday and urged their congregants to freedom. I could talk about Rev. John Peter Gabriel Muhlenberg who after completing a sermon from Ecclesiastes 3:1, "To everything there is a season, and a time to every purpose under heaven," stepped down from the pulpit, removed his robe and revealed the uniform of a Colonial Army officer to lead 300 men from his congregation to join General George Washington as the Eighth Virginia Calvary. I could also share concerning Rev. Jonas Clark who, on the night of Paul Revere's famous ride, was asked by John Hancock and Samuel Adams if the men of Lexington would fight. Clark replied, "I have trained them for this very hour; they would fight, and, if need be, die, too, under the shadow of the house of God." These are but a few examples. Ah, but I can hear the so-called more spiritual among us, still insisting that pastors and churches ought to stay out of politics. Stay away from those social issues and just preach the Gospel, they say. 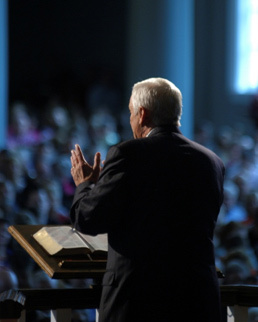 "America has had more Gospel preaching during the last 50 years than any nation in history. There are more churches, more Christian schools, more Gospel radio and television programs, more missionary endeavors, more inner-city missions and shelters, more Bible publications, and more Gospel influence in America during the last 50 years than in any country in the history of the world. If America is to be saved, we must both proclaim the Gospel and seek to bring its influence to bear on the body politic. Yes, politics and preaching do mix.